I wont watch movies on Youtube, but thanks for the info. 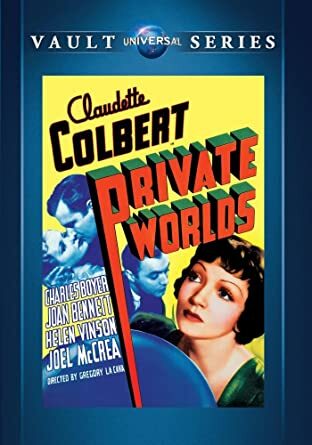 As part of the Universal Vault Series, a DVD of PRIVATE WORLDS is available for purchase at Amazon. Here's a review I did of PRIVATE WORLDS, based on the Universal Vault DVD release of the film last year. Intriguing medical drama from Paramount, benefiting from the participation of a first rate cast. Set in a progressive psychiatric hospital, Claudette Colbert, with carefully manicured eyebrows, a suit and usually wearing a tie, plays a dedicated psychiatrist in charge of the male patients. Her co worker is Joel McCrea, another professional with whom she has a close friendship but no romance. He is married to Joan Bennett, a trusting, naive soul who will do anything for her husband and regards Colbert as a friend. Dramatic tension occurs, however, with the arrival of Charles Boyer as the new head of the hospital. A conservative who does not believe in women working in the upper echelons of hospitals, he immediately demotes Colbert to being in charge of male out patients. The even tempered Colbert acquiesces to his decision while McCrea is outraged by his old fashioned attitude. Arriving with Boyer at the hospital is his sister (Helen Vinson), an empty headed, bored man trap and it isn't long before she has the disgruntled McCrea as her not so secretive playmate. It may sound like the makings of a hospital soaper and, to a small degree, it is, but the film thankfully largely rises above that level with moments of unexpected sensitivity. The best scene in the film, to my liking, at least, occurs at about the half way point. One of the patients in the hospital ward is an old man known only as "the Arab." He lies in a bed, talking softly to himself but no one understands his language. On seeing him, however, Boyer, who does speak Arabic, says that the man is dying and wants someone to pray with him. Boyer orders screens to be placed around the old man's bed out of respect for his privacy. He then sits with him, holds his hand and joins him in prayer. Colbert watches silently as a light on the old man's face finally turns to darkness, signalling to the audience he has passed away. Suddenly another patient ("Big Boy" Guinn Williams) wakes up. He is a strong, burly man who has a pathological need to see the entire ward room at all times. When he sees the screens around the old man's bed he is driven to sudden violence, knocking down the screens, as well as Boyer. That is followed by a fast edited sequence of orderlies trying to subdue Williams who knocks them aside. Intermingled with these shots are closeups of other patients, some afraid, some laughing and excited, cheering Williams on. Director Gregory La Cava has one shot of the shadows on a wall of the men struggling. Finally Colbert, who had also been knocked down by Williams, rushes forward once again and reasons with him. Williams relaxing with her words of reassurance and suddenly overcome with remorse over his own behaviour, begins to weep. The crisis is over. Aside from the impressive visual execution of the sequence, it is a scene that reaffirms Colbert's cool professionalism in a stressful situation while also, with its demonstration of Boyer's sensitivity towards a dying man, softening his character to make him appear far more human. And the scene ends on a touching note, with a closeup Big Boy Williams' tears flowing in a surprisingly affecting performance from an actor known more for his brawn than acting skills, perhaps best remembered today as a muscular, comical sidekick to Errol Flynn in a few big budget westerns. The later portion of the film, primarily involving Joan Bennett's character, turns rather predictably melodramatic. Audiences anticipating a romance between Colbert and Boyer may be surprised that it occupies so little screen time. I think the film is stronger, too, for largely avoiding that cliche. Colbert, who received an Oscar nomination for her portrayal, delivers a mature, intelligent performance. That her character is a little too caring, a little too emotionally well balanced, a little too perfect, is really only to be expected from the screenplay of a film from this period. A flaw in her character might have made her a little more interesting but that's a minor complaint. For years Private Worlds was one of a large number of Paramount productions that became a challenge to find after becoming the property of Universal Studios. It has now been released on DVD as part of the Universal Vault Series in a decent looking print. About books on the topic: I've read "The Bennetts: An Acting Family" which covers everyone, including father and Barbara. Interesting and informative, including stuff on Joan's "Dark Shadows" period. Oh, Thanks! Beats waiting for TCM to show it. LOL. Edit: I checked and it's reasonably priced. 20 bucks. I will order it! Hadnt realized it had been released. FINALLY! Yes. I read it when it came out. It covers the whole family. Joan's parents as well as Constance and Barbara's life. Much more in depthy than Joan's book which just scratched the surface and glossed over the unpleasant parts of their lives. Barbara led a sad life. And produced Morton Downey Jr.!!! Joan's book came out in the 70s so it was interesting to read about her later life in the other book which came out maybe 10 yrs ago. Her last marriage sounded a bit strange and sad. It was Dark Shadows that introduced me to Joan. I hadnt seen any of her films at that point. 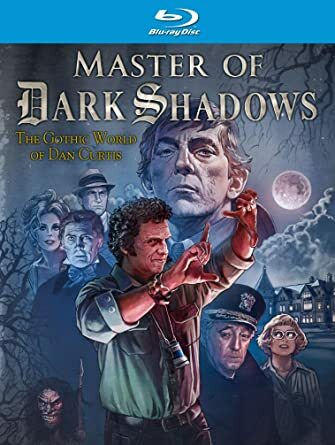 On a related note (forgive the digression), it may be of interest to some on here that there's a documentary on Dan Curtis titled Master of Dark Shadows, slated to be released on April 16. To help avoid the confusion I had; Dan Curtis directed Winds of Wars and War and Remembrance. Robert Mitchum was the star. But I do wonder who the lady is behind Mitchum (to his right with the big glasses). Looks like it could be Bette Davis, but I don't know the connection to Curtis. Thanks. That sounds interesting! Dark Shadows is a Dan Curtis Production.........(voice over). LOL. 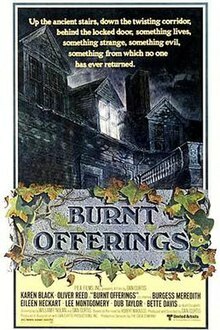 Bette Davis was in Burnt Offerings, which was co-written, co-produced and directed by Dan Curtis. One of his few theatrical movies as opposed to TV movies. I just saw HIGHWAY DRAGNET, a 1954 "B" with a standard man-on-the-run theme. Richard Conte plays a ex-marine accused of murdering Mary Beth Hughes, who he meets in a Vegas bar at the film's beginning. 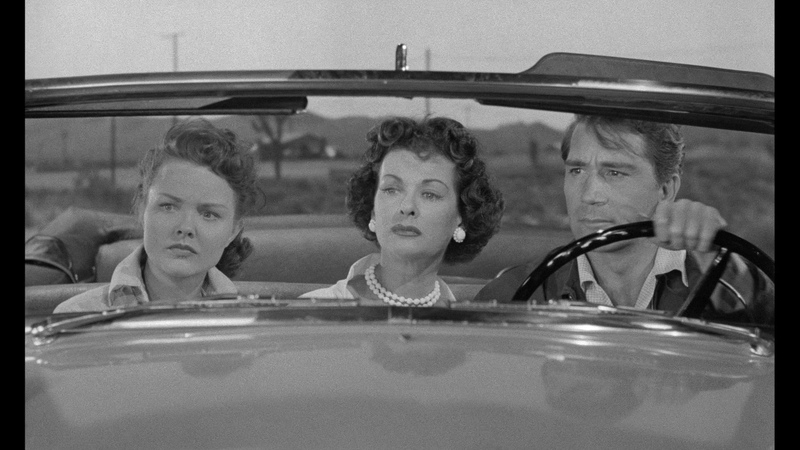 He makes an escape (not very convincingly, I might add) from the cops and is soon walking through the desert, where he encounters two women (Joan Bennett, Wanda Hendrix) in a car that's broken down. Conte gets the car going but soon the women will find out that he's wanted by the police and everything changes. It's not a bad little film though you have to be a little thick, I suspect, not to have a pretty good idea who the killer will be. But there's some nice desert photography, Conte's good and the film only wastes your time for 70 minutes. But what struck me is just how middle aged horrid Bennett looks in it. Not only that but she plays her role like she has a permanent "mad" on, and maybe she did. This film was made a few years after hubby Walter Wanger shot her agent over an affair she was having with him, and perhaps the lady's film options at this point in her career were, shall we say, limited. In any event, while Highway Dragnet is a passable way to spend your time I suspect that fans of Joan might be less thrilled with it (as, I suspect, was the actress herself). I would agree that that looks like Bette Davis in the Blu-Ray art work. She's dressed like that in Burnt Offerings as well. Thanks for the review Tom. It's been awhile since I've seen this film, and now I'm curious about the way Joan Bennett looks in it; I don't remember her looking all that bad. To be fair, Joan Bennett was at that point a grandmother in her mid-40s, plus the recent scandal must've caused her plenty of worry. Anyway, I don't think she looks that bad in the pic you posted. Highway Dragnet is the kind of minor but efficient crime drama that can be enjoyed if you're in the proper mood for it. To be fair to Joan, I thought she had a somewhat effective scene towards the end of the film but it still didn't eliminate the overall feeling of crankiness in her performance because the lady looked pretty unhappy. I dont either. She was in her mid 40s. And I dont think this kind of film would've spent much time over flattering close ups.